Which is not all that different from how they looked on June 10th, on my way to John O'Groats. which will let me get back to numero dos, which is about one third done. 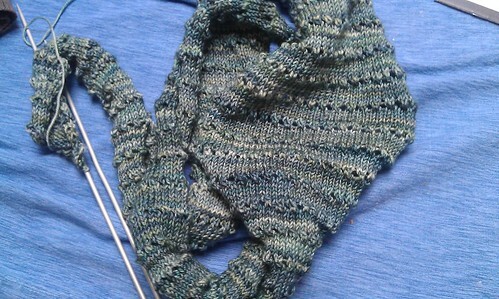 I'm hoping that garter stitch goes faster then stockinette on this one. 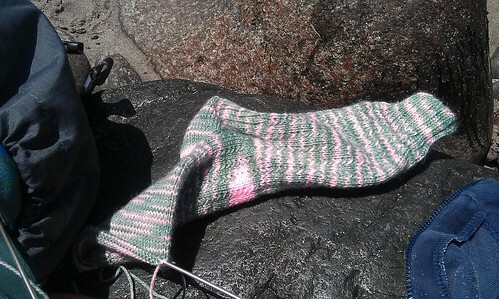 The socks will just have to wait for July, and having one sock almost done will hopefully make up for the fact that the Tour de Fleece starts (gulp) this weekend! 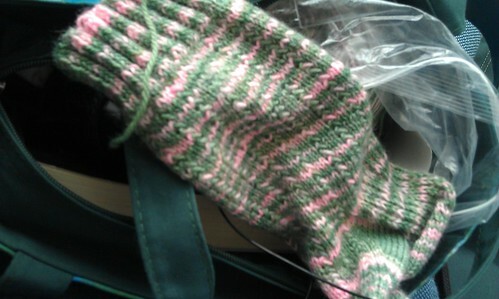 Written by porpoise On June 27, 2011 In "11in2011", "Project Spectrum", "scarves", "socks"